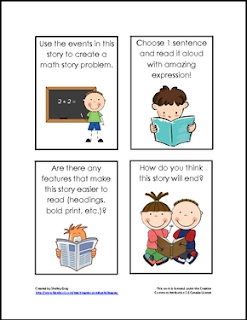 This resource includes 24 eye-catching prompt cards for during guided reading. During reading breaks, a student can choose a card and complete the task or answer the question. These prompt cards will increase student engagement and foster comprehension during reading. Join me on Facebook for special offers and more!